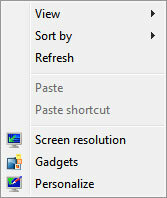 Aero Plain is a theme for Windows 7 created by Conscars at deviantART that makes your taskbar invisible. The blur effect will still be there but maximum of the stuff will be transparent. Run Windows Theme Installer and browse for the theme. 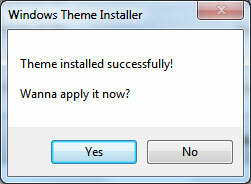 When it asks to apply the theme, click Yes. Select the color that matches best to your wallpaper. For example, if you wallpaper is in green color then select the green color. Now your taskbar will be almost transparent.